As a parent, it can be difficult to know which resources are reliable and trustworthy. We have taken the guess work out for you and gathered some of our favorite resources on speech, language, and feeding. An excellent resource with easy and practical ways to encourage language at home! Did you know flashcards are not the best way for your child to learn? Children actually learn better through play. “Einstein New Used Flashcards” is such an important reminder of why our children need to play. The book is divided into areas of development and shows us how play helps children develop in every area. The book contains wonderful research on how play helps children become successful in school and in life. www.hanen.org The Hanen Centre began its work with a focus on early language intervention for children with language delays..
Dr. Prizant is the developer of the SCERTS model and an expert in the area of autism. His knowledge and experience provides wonderful insight on autism. Dr Prizant teaches us not how to “get rid” rid of autism, but to understand its unique characteristics in relation to social skills, communication skills, and development. This book highlights just how wonderful and “uniquely human” we all are and is a refreshing perspective on autism. Another amazing resource from Hanen. 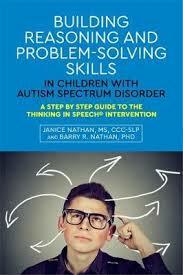 This book is a must-read for parents of young children with autism. It is packed full of ways to build communication and play skills at home and easy ways to implement the strategies into your daily routine. Did you know it’s normal for toddlers two years old to go through a period of “neophobia,” where they are afraid to try new things. This includes trying new foods and explains why almost every parent of a toddler I meet describes their child as “picky” to some degree. What is unique about this book is that it is written by a Pediatric Speech Pathologist/Feeding Specialist in conjunction with a pediatrician. This book is full of suggestions that families can easily implement to encourage a happy and healthy eater! The title of this book is perfect! It truly is full of information you most likely have never heard. For example, did you know you baby’s jaw grows the most in the first of life? Or that babies can be taught to drink from a straw as early as six months. This book is a wealth of useful information and easy to read charts. Seriously, this book is a fantastic resource with easy to activities to try with your developing baby or toddler! Experiencing food with all the senses is one of the best ways to encourage an adventurous eater. This book has a ton of recipes so you can have fun in the kitchen with your little one! Best of all, they are delicious and healthy! Another kid-friendly cookbook! This book is co-authored by feeding specialist, Dawn Winkelmann and is specially for designed to use with the EZ mat. I LOVE the EZ mats. They are so great more making mealtime fun and easy! www.cherabfoundation.org The Cherab Foundation is a world-wide nonprofit organization working to improve the communication skills and education of all children with speech and language delays and disorders. Our area of emphasis in addition to autism is verbal and oral apraxia, severe neurologically-based speech and language disorders that hinder children’s ability to speak. www.apraxia-kids.org Apraxia Kids is the leading nonprofit whose mission is to strengthen the support systems in the lives of children with childhood apraxia of speech (CAS) so that each child is afforded their best opportunity to develop speech and optimal communication skills. We believe every child deserves a voice. Early mouthing experiences are critical for healthy mouth development. This tri-chew allows for easy access to the back molar to practice chewing and jaw strengthening. These “Noisy Books” are always a hit with my kids! The sounds and bright pictures keep little ones and engaged and they are great for imitating sounds! Anything that requires assistance is a great therapy tool. 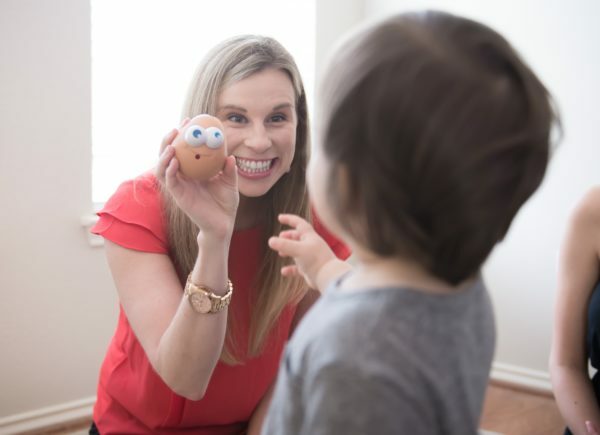 Since most toddlers have difficulty winding up the toy, it provides a wonderful opportunity to model words such as “go” or “help” when they hand you the toy. You can build in a prompt by saying, “Ready, set, _____” and looking at your little one expectantly. I make sure to build in choices for which animal the child wants next and model the name of their choice several times.Toys that are “hard to use” create tons of communication opportunities. Learn more about how to use waiting to encourage speech and language.